Dr. Herrick Lai always appreciates feedback from his valued patients. To date, we’re thrilled to have collected 42 reviews with an average rating of 4.98 out of 5 stars. Please read what others are saying about Dr. Herrick Lai below, and as always, we would love to collect your feedback. Professional, friendly, very clean waiting room and most important clean and comfortable area where dental work is done. I'm always nervous when I go to the dentist but Dr. Lai quickly ease my fear with his professionalism. Always fast, pleasant and courteous. Makes you feel at home and I never dread going even if I have a cavity! I've recommended him to all my friends and coworkers and wouldn't go anywhere else. Dr. Lai does a great job! He's very thorough when cleaning my teeth, doing a checkup and making any necessary improvements or filling cavities. He explains everything very well and I always leave the office very satisfied with the job he's done. I'd highly recommend him. Dr. Lai did a great job with my kids! Thank you! Dr. Lai is the best! Dr. Lai is out of the way for me, but well worth the trip. He is friendly, gentle, and makes the trip to a dentist less painful. Highly recommended. Dr Lai is our family dentist for many years and we couldn't be more satisfied with the care, treatment and professionalism he provides to us. He is the best! Dr. Lai offers a very professional office environment. My appointment time is always scheduled perfectly. I have never had to wait for another apointment to finish. He is always friendly and nice. 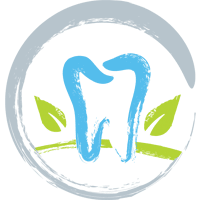 Dr. Lai is a great choice for a dentist. Perhaps the best, most relaxing, most professional dentist in New York City. Sophisticated office with down-to-earth service. He charges fairly and honestly. He also discusses pricing before doing any work in a way that is humane and courteous. I have referred many people to Dr. Lai. If all dentists were like him, nobody would dread going to the dentist. Clean, friendly, convenient. Thank you! Easy to make an appoint and the quality of having a cracked tooth replaced with a crown was fantastic. I have been coming to Dr. Lai for years because he's a fabulous dentist. He's very professional and personable. He's also very gentle---my gums and teeth are sensitive. I would recommend Dr. Lai to my family and friends.